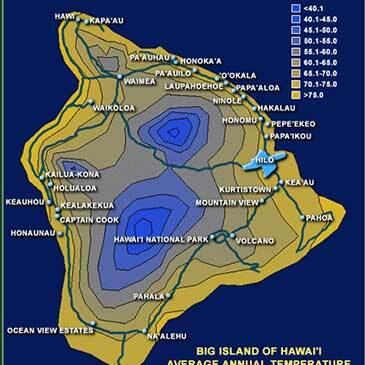 Below are several maps to help you learn more about the Island of Hawai`i, which is larger than all the other main Hawaiian islands combined. 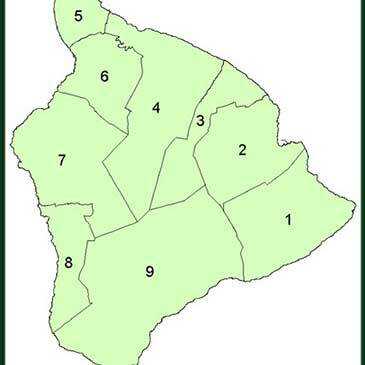 This map separates the different areas of the Big Island by district. This general map is helpful for familiarizing yourself with the island. Note that the city of Hilo is in the southern area of the “South Hilo” district. 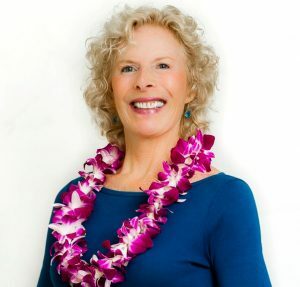 The Island of Hawai`i has a diversity of temperatures throughout. 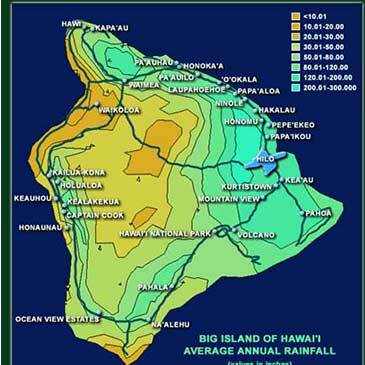 This map will give you a good idea of what temperatures to expect in different areas of the Big Island. This map shows how dramatically different certain areas are in average rainfall. 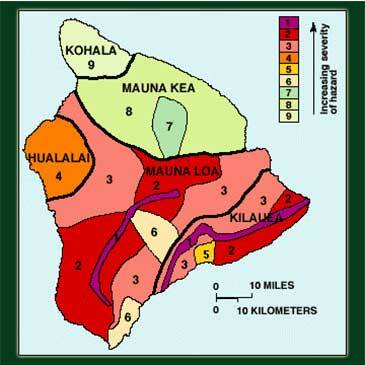 The Big Island Lava Zone map divides the island into zones that are ranked from 1 through 9 based on the probability of coverage by future lava flows. This is critical to understanding homeowners insurance. 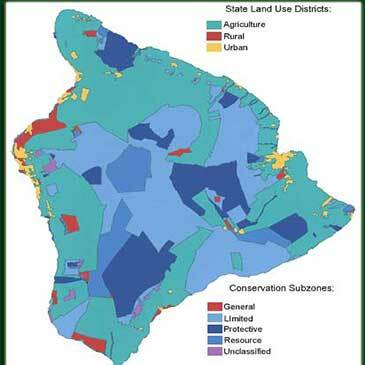 Explore this map to learn the various land usage throughout the Island of Hawai`i. Included in the map are agricultural, rural, and urban zones, and conservation areas. 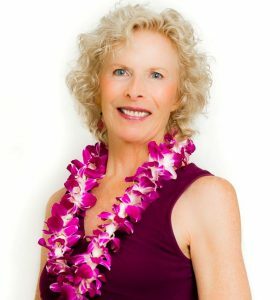 Each parcel of property in the State of Hawai`i has its own unique Tax Map Key (TMK) number. The Hawai`i Island TMK map is useful to realtors and others who want to know more about where properties are located on the Big Island.